Contact UsSign up for our e-list To receive advance reminders about online reservations for our services and occasional updates, use the form below to sign up for our email list. You won’t get mail all that often, and you can unsubscribe any time you want. Your Email Address: Email us directly Use the form below to email her directly. Please also use this form to share comments about your experience at Ohel Ayalah services. The free, walk-in service at Ohel Ayalah means that a young Jew can join a celebration of the High Holidays without having to decide in advance. Every Jew should feel welcome in a synagogue on the High Holidays, whether or not he or she is a member, whether or not he or she made arrangements to attend, and whether or not he or she purchases a ticket. This is the mission of Ohel Ayalah. Why is it called Ohel Ayalah? Rabbi Judith Hauptman has named this minyan Ohel Ayalah (Tent of Helen) in memory of her mother, Helen Hauptman, who died in 1956 on Kol Nidrei night. She was a loving mother, a high school teacher devoted to her students, and an active member of her synagogue. "I love the participatory nature, and the warm community feeling Rabbi Hauptman instills within the room. This is why I will keep coming back, year after year!" Our services are absolutely FREE. More than half the seats at all services are walk-in. Reservations will open on Fri Sept 17. Join our e/m list (above) to be reminded of future events. Our services are free and walk-in. If you can help Ohel Ayalah pay its many bills, you may do so via Paypal. 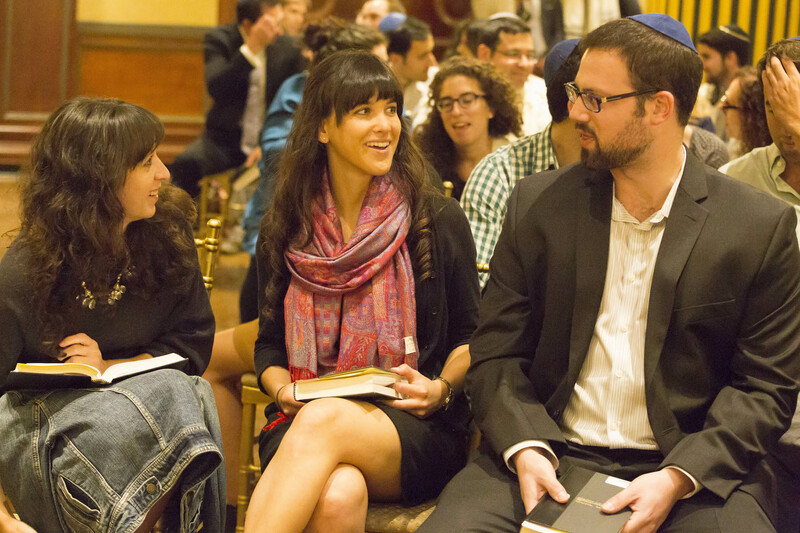 Get notified as registration forms become available for seders and high holiday services. Ohel Ayalah is supported in part by a generous grant from the Natan Foundation.